Kos is a Greek island, part of the Dodecanese island chain in the southeastern Aegean Sea, off the Anatolian coast of Turkey. Kos is the third largest of the Dodecanese by area, after Rhodes and Karpathos; it has a population of 33,388 (2011 census), making it the second most populous of the Dodecanese, after Rhodes. Kos island is part of a chain of mountains from which it became separated after earthquakes and subsidence that occurred in ancient times. These mountains include Kalymnos and Kappari which are separated by an underwater chasm 70 metres (230 ft) (40 fathoms deep), as well as the volcano of Nisyros and the surrounding islands. Tourism is the main industry in Kos, the island’s beaches being the primary attraction. 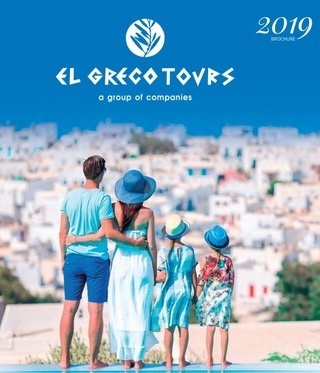 The main port and population centre on the island, Kos town, is also the tourist and cultural centre, with whitewashed buildings including many hotels, restaurants and a number of nightclubs forming the Kos town “barstreet”. The seaside village of Kardamena is a popular resort for young holidaymakers (primarily from the United Kingdom and Scandinavia) and has a large number of bars and nightclubs. The island has a 14th-century fortress at the entrance to its harbour, erected in 1315 by the Knights Hospitaller, and another from the Byzantine period in Antimachia. The ancient market place of Kos was considered one of the biggest in the ancient world. It was the commercial and commanding centre at the heart of the ancient city. It was organized around a spacious rectangular yard 50 metres (160 ft) wide and 300 metres (980 ft) long. On the eastern side there were shops. In the first half of the 2nd century BC, the building was extended toward the interior yard. The building was destroyed in an earthquake in 469 AD. In the southern end of the Market, there was a round building with a Roman dome and a workshop which produced pigments including “Egyptian Blue”. Farming is the second principal occupation, with the main crops being grapes, almonds, figs, olives, and tomatoes, along with wheat and corn.